This offers Bible teaching for every age group with a variety of activities for toddlers and kids. This is a place where you always fit in. Bringing worship to another level, this group has set out to shout the good news of Jesus Christ! 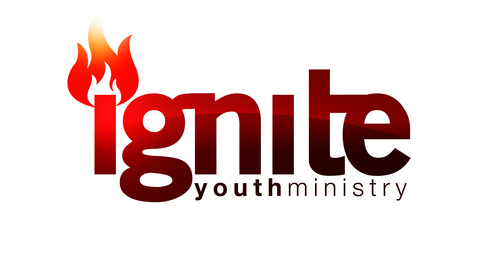 IGNITE Youth meets every Wednesday at 7PM and has various events and activities planned monthly. Ages 12-21. Kids Connection is a ministry that runs simultaneous with our Sunday evening worship service. This ministry is geared towards helping parents with their toddlers and young children. Ages 2-5 are taken into a classroom for a fun time centered around Jesus and the Bible, while their parents can remain in the sanctuary to take in the evening service! This ministry of Broadway Assembly seeks to minister to married and engaged couples through seminars and fellowship meetings. Child Care is provided at these meetings so couples can feel free to interact with another. Refer to the calendar of events for upcoming meetings! Down home cooking with good Christian people. First Saturday of each month at 5PM at Camp Blessing unless otherwise noted in calendar of events. Women can enjoy a variety of activities such as luncheons, evenings out, retreats, and conferences. Ladies’ prayer takes place on Thursdays @ 10AM at Broadway Assembly. We also have a Sunday School class at 9:45AM taught by various women within our congregation. Men can enjoy fellowship with one another during the men’s monthly breakfast (first Saturday of the month) and prayer meetings that are held on Saturdays @ 8 AM at Broadway Assembly. We also take a couple of weekends out of the year for attending seminars on becoming men of God! See our calendar for upcoming events! Bus ministry: need a ride to church or know someone who does? We’re here for you! Please contact our church office at (440)233-8575 for details! 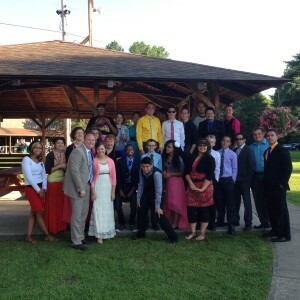 Youth Camp is held every summer in mid-July. 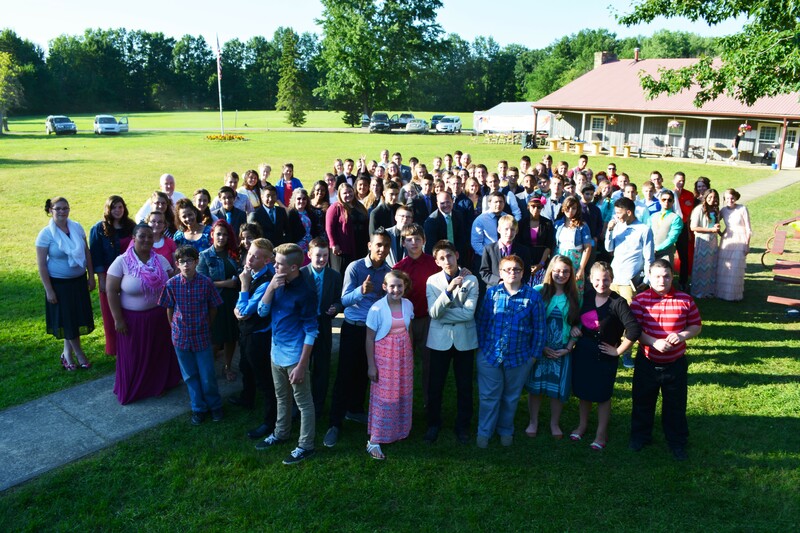 At Camp Blessing your child will find his or her place! We offer Day Camp activities from 9AM-3PM for ages 4-7. Day Camp features fun crafts and activities, a Bible hour filled with interactive stories and games, lunch time, and snow cones! Also we operate a Junior Camp and Teen Camp during this week. At these camps your child will stay on the campgrounds from registration on Monday until dismissal on Friday. Each day they are afforded the opportunity to have a life changing experience in church services in the morning and evening. They will also be able to make lasting friendships with their peers during our sporting events, team activities, and free time! For more information please call (440) 233-8575!